Maitreya comes with a ready made Blend file that contains an Avastar rig. 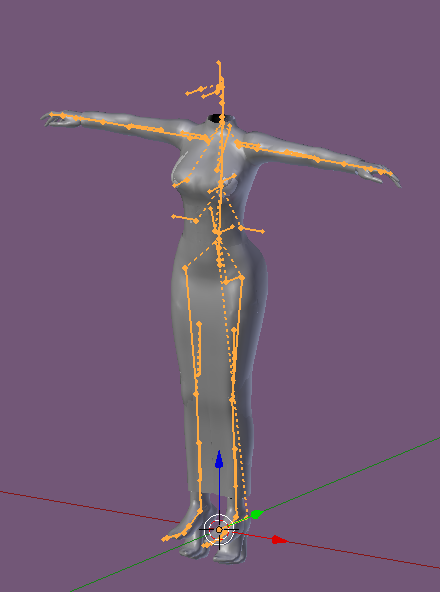 However this rig was made with Avastar-2.0 and it is not compatible with newer versions of Avastar. 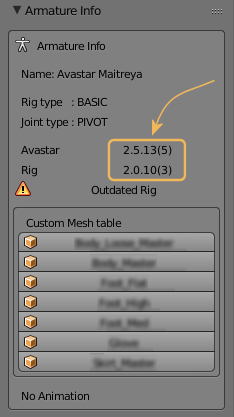 Here is how to update your Rig to the newest Avastar version. 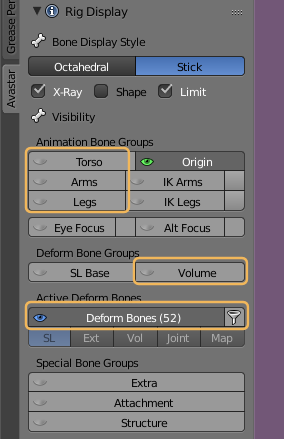 If you have already created mesh attachments then just add your meshes to the selections as described in the steps below. Open the Maytreya Mesh Body Kit Complete Blend file that you received from the Creator. 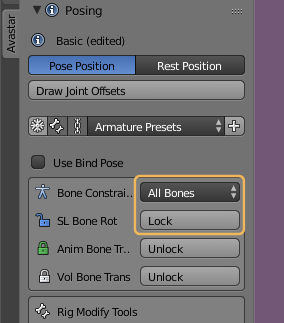 Then make sure that all display layers are enabled and the Armature is selected in Object mode. This is actually not a strictly necessary step, but it complies to our workflows. If you have not yet done so, please proceed by taking a look at the Workflow Panel. Again: This is just optional. You might want to keep things as they are made by Maitreya if this serves your personal workflow better. 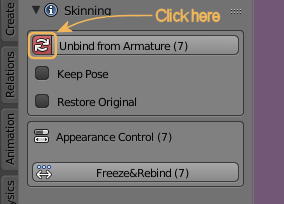 Important: When you skip this step, then your meshes will not react to any slider and your export might be distorted! 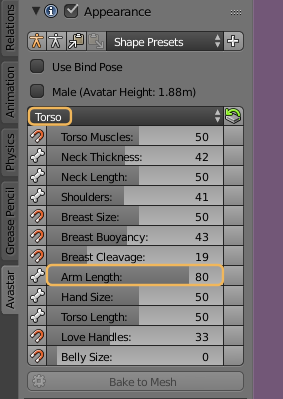 Tip: Use the Arm length slider in the Torso section. If that works, then all is well. Important: Once you are done with your testing, then please click the white Stickman icon in the top row of the Appearance Slider Panel. This is to prepare the next step! 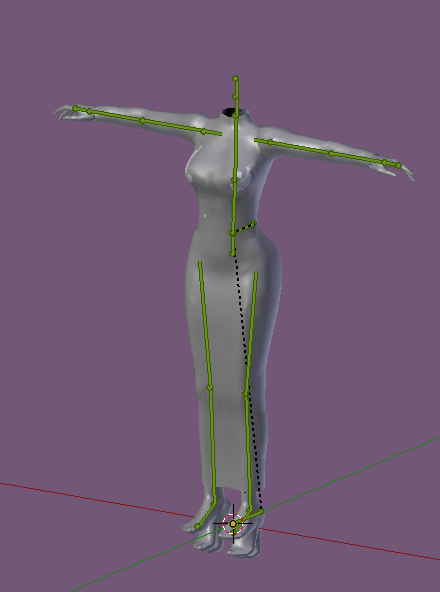 Note: Some sliders may not have any influence on the Mesh. 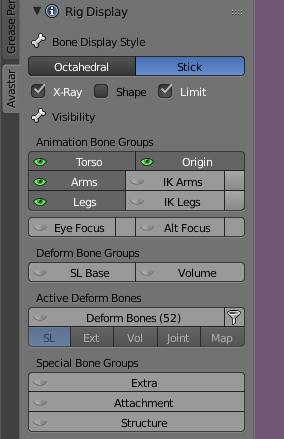 Please refer to Maitreya documentation which sliders should work. Now your Maitreya Developerkit should work with the newest version of Avastar. You may want to store this blend file for future usage. 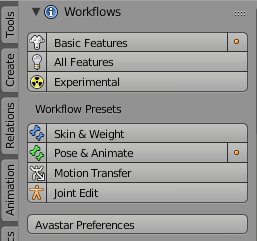 Now you can also use the Avastar Workflows. If you are not familiar with the workflows, then please take a look at the Workflow Panel document. It will help you to get along with Avastar. Please let us know if this worked for you and if we can do any improvement on the documentation or on how Avastar works together with Developer kits.